North Korea has a habit of making others pick up its overseas travel tabs, and experts say either Singapore or South Korea is likely to get stuck with an eye-watering bill for next week's historic North-US summit in a luxury resort. Preparations are in full swing for the June 12 meeting on an island off Singapore, with authorities readying to lock down the city-state. Kim Jong Un and US President Donald Trump are reportedly set to stay at pricey hotels -- although sanctions-hit Pyongyang will almost certainly not pay its own way. "Pyongyang has been conditioned to expect others to pay for any 'diplomatic outreach' the reclusive regime makes," Sung-Yoon Lee, a Korea expert at the Fletcher School of Law and Diplomacy at Tufts University, told AFP. Singapore's Defence Minister Ng Eng Hen said at the weekend that the wealthy city-state was willing to bear some costs to play their part in the "historic meeting". Those costs could be quite significant. Even by expensive Singapore's standards, the hotels reportedly under consideration to host Kim and his team would leave the average wallet a lot lighter. 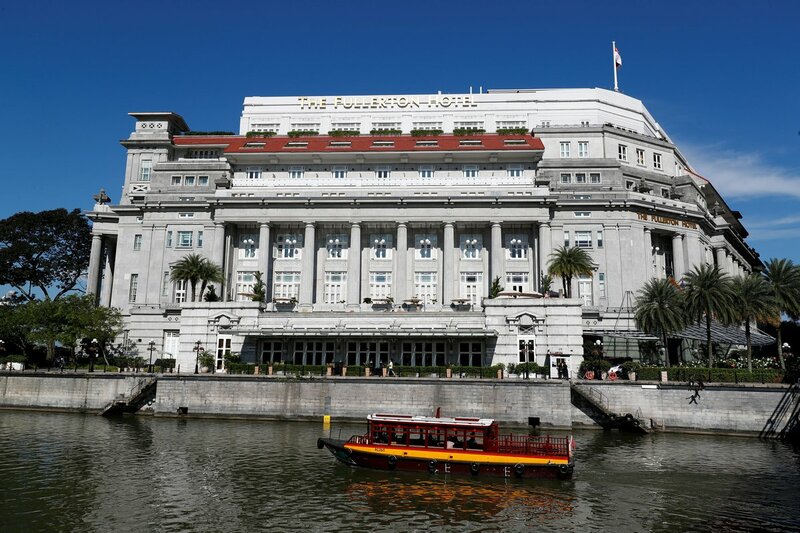 The five-star Fullerton Hotel, an imposing building on Singapore's waterfront dating back to the British colonial era, has a $8,000-a-night presidential suite that may appeal to the young leader's penchant for luxury. If that's not good enough, the St. Regis -- which lays on personal butlers for guests and has a fleet of Bentleys to chauffeur them about -- charges around $9,000 for its presidential suite. Breakfast is included. It also boasts a private art collection, with over 70 works by artists including Pablo Picasso and Joan Miro. There's also the matter of how Kim and his entourage might get to Singapore. While Trump's Air Force One has a range of nearly 13,000 kilometres and is entirely self-sufficient, Kim's personal jet is an ageing Soviet-made aircraft. Aviation experts have cast doubt on whether it will actually be able to make it as far as Singapore. That might mean someone else has to provide an aircraft for his exclusive use, either one from their own fleet, or a hired plane. If he wants to match Air Force One -- a Boeing 747-200 -- PrivateFly.com lists one available for rent at $17,501 per hour. US President Donald Trump and North Korean leader Kim Jong Un are set to meet at 9am on June 12 (Tuesday) at Sentosa's Capella Singapore hotel. Here are 6 things you should know about one of Singapore's swankiest digs. The hotel, which opened in 2009, was designed by renowned British architect Norman Foster. It was restored from buildings that used to house the British officers of the Royal Artillery and their families in the 1880s. Capella Singapore was designed by British architect Norman Foster. Among those who have held their weddings there are homegrown pop star Stefanie Sun and local actor Tay Ping Hui. Being located in a rainforest, Capella has its resident critters. Guests are sometimes visited by peacocks, who have been known to stroll past at breakfast or around its terraced pools. 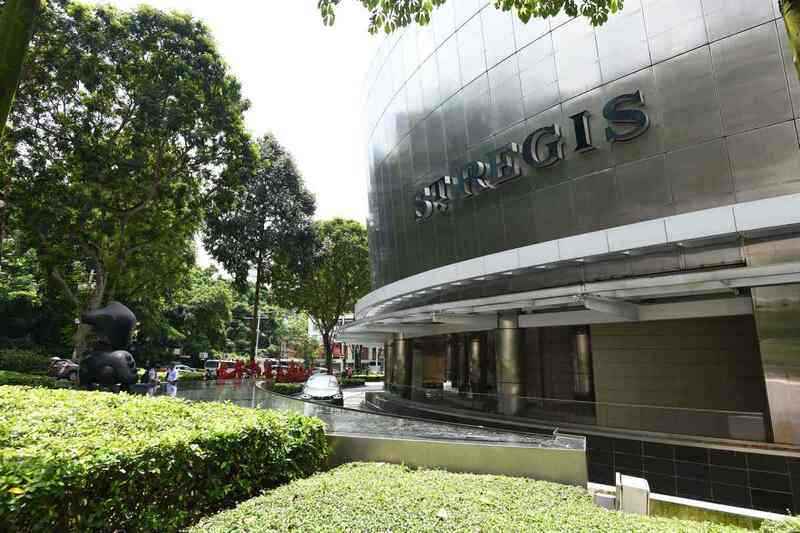 It is also located near the Sentosa Golf Club - ideal for Mr Trump, who is known for his love of golf. Aside from the tentative Singaporean offer, governments have so far been publicly reluctant to offer to underwrite the affair. The US has insisted it will not foot the bill -- and is not asking anyone else to. "The United States Government is not paying for the North Korean delegation to stay. We're not paying for their expenses," State Department spokeswoman Heather Nauert said. In Seoul, a spokesman said President Moon Jae-in had no intention of putting his hand in the national pocket. But, analysts note, South Korea has bankrolled Pyongyang's attendance at previous events. For this year's Winter Olympics in the South that triggered the recent inter-Korean detente, Seoul put aside 2.86 billion won (S$3.6 million) to pay for Pyongyang's high-level representatives, officials, supporters, art performers and other delegates. Seoul also paid for North Koreans to attend the 2014 and 2002 Asian Games in the South, as well as for visits by South Koreans to the North for reunions with their long-lost relatives, according to the Unification Ministry. This week a Nobel Prize-winning anti-nuclear group offered to help. The International Campaign to Abolish Nuclear Weapons (ICAN) said it was willing to bankroll Kim's delegation, using part of the $1.1 million cash prize it received for winning last year's Peace Prize. Travel website HotelPlanner.com has also offered to pick up the tab for Kim's hotel and meals, Newsweek reported. Ultimately, most observers think another government will step in. But for some commentators, the idea that a country cannot afford to pay a hotel bill but can spend billions of dollars on a nuclear weapons programme, is risible. "The notion that North Korean leader Kim Jong Un lacks the cash for travel to Singapore is absurd," said the Fletcher School's Lee.